'Flynn was 'pushed out' not because of his mistake, but because of … paranoia and a witch hunt,' tweets Alexei Pushkov, a Russian senator. MOSCOW — Leading Russian lawmakers rushed to defend President Donald Trump’s former national security adviser on Tuesday after he resigned for misleading senior White House officials, including Vice President Mike Pence, about his contacts with Russia. 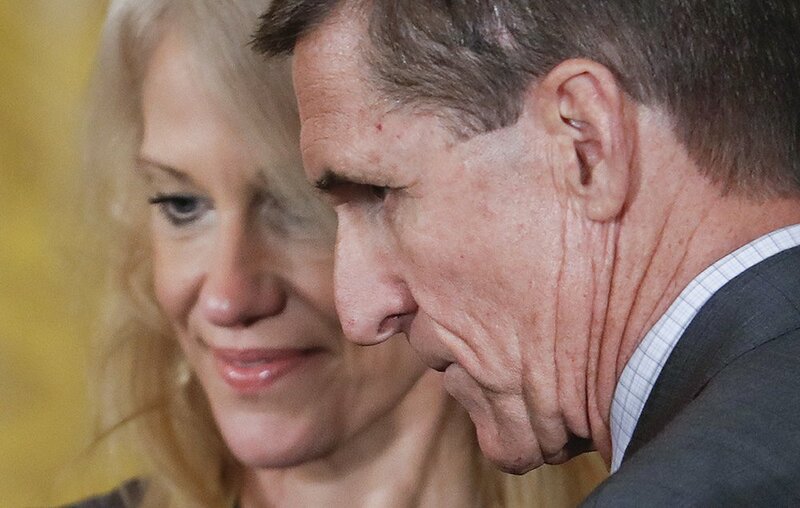 The heads of the foreign affairs committees in both Russia’s upper and lower houses of parliament chalked up Michael Flynn’s resignation to a dark campaign of Russophobia in Washington, and said it would undermine relations between the White House and the Kremlin. Konstantin Kosachev of the upper house wrote in a post on Facebook that readiness for dialogue with Moscow was now seen in Washington as a “thoughtcrime,” a reference to the George Orwell’s dystopian novel 1984. Flynn was accused of holding discussions over the U.S. sanctions regime against Russia with Russian ambassador Sergei Kislyak before Trump was sworn in as president last month. Flynn stepped down amid mounting pressure on the Trump administration to account for its false statements about Flynn’s conduct. “Flynn was ‘pushed out’ not because of his mistake, but because of the unfolding campaign of aggression, ‘Russian for the Exit!’ shout the newspapers. Paranoia and a witch hunt,” tweeted Alexei Pushkov, a senator in the upper house, referring to the New York Daily News headline. “It is kind of a negative signal for normalizing the Russian-American dialogue,” head of the lower house’s affairs committee, Leonid Slutsky, said in remarks released by his press service. Peskov said Flynn’s resignation was an internal matter for the U.S. and declined to comment further on it during a call with journalists on Tuesday.